Spectacular, deep red, formal double blooms are displayed against glossy, dark green foliage. Colorful accent for the shade. A prized plant of the milder regions of the U.S. Mid to late season bloomer. Evergreen. 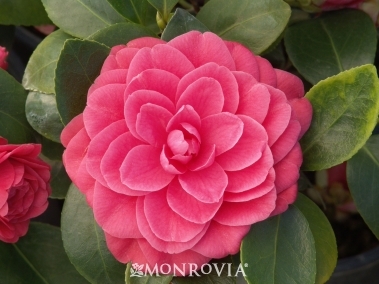 Click HERE to return to our Camellia page.